The first successful human renal transplantation was done in 1954 at Boston and many viewed this as a technical success. Since the allograft was from an identical twin, the problem of immunosuppression was overcome and other lessons learnt from the procedure has come a long way to establish renal transplantation as the preferred treatment of choice for patients with end stage renal disease (ESRD). While the surgical technique has changed little, what has evolved over the last 50 years, has been the explosion in immunosuppression, the improvement in anesthetic techniques, imaging modalities and diagnostic techniques. This has made it possible for many patients to be accepted for transplantation who were earlier not considered fit for the procedure. Further understanding of bladder function and reconstructive surgical techniques of lower urinary abnormalities both congenital and acquired, which could lead to ESRD, has widened the patient base for renal transplantation. This article aims to discuss some of these issues. The phenotypic heterogeneity of Alport's syndrome (AS) is well explained by the genetic heterogeneity. 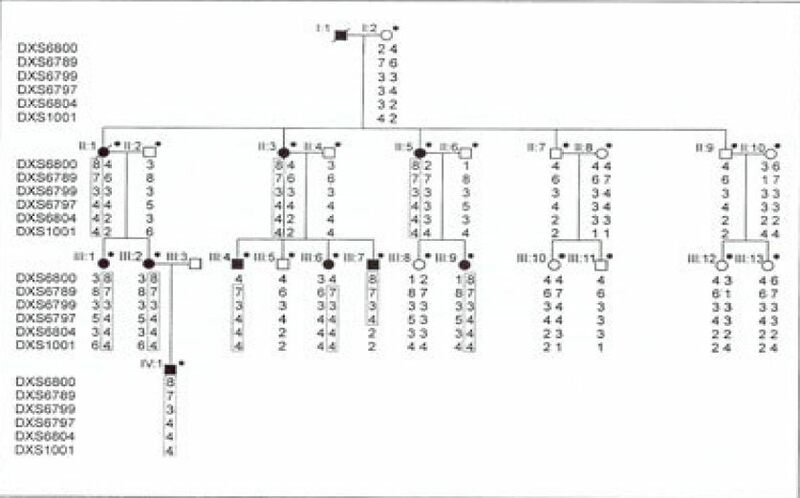 Therefore, the application of genetic techniques, such as linkage analysis (LA), could be helpful in the correct diagnosis of this disease. We performed LA in a family who manifested X-linked inheritance. We used 10 fluorescent microsatellite markers to cover the q-arms of chromosome X. The poly chain reaction (PCR) products were separated on an ABI 377 Sequencer and genotypes were identified using the ABI Genescan/Genotyper software. We confirm in this family an X-linked dominant transmission of AS. All affected individuals shared the same haplotype for the region Xq22. The genetic diagnosis of AS was confirmed in individuals aged one month and 4 years before any clinical manifestation of AS. We conclude that LA is a powerful and approachable tool, which could be used in the diagnosis of AS. An accurate genetic family study using LA may be helpful for correct classification, genetic counseling, prognosis evaluation, the assessment of the risk for kidney transplantation, and for the follow-up and therapy of AS. Hepatitis C virus (HCV) is the most common cause of chronic liver disease in patients with end-stage renal disease. It is more prevalent in hemodialysis (HD) patients than the general population but the exact routes of transmission are not clear. In this study, the current situation of HCV infection was assessed in eleven dialysis centers in Tehran, Iran. A total of 548 patients on maintenance HD with a mean age of 45.4 ± 16.8 years were studied. Most of the patients were dialysed 3 times/week, each session lasting 4 to 4.5 hours. About 15% of patients had a history of having received peritoneal dialysis prior to maintenance HD and 23.6 of patients had received blood transfusion(s). The most common cause of renal failure was hypertension in 29.7% followed by diabetes mellitus in 23.2%, failed renal transplant in 19.4% and glomerulonephritis in 9.7%. HCV antibodies were measured by ELISA-III. All positive sera were tested for HCV RNA by RT-PCR. Positive HCV antibody tests were present in 19.6% of patients. In these seropositive patients, 48.6% had detectable HCV RNA. Prevalence of HCV antibody seropositivity was not different in patients with or without history of blood transfusion. The prevalence of positive HCV antibody in this study was higher than reports from Europe but lower than other countries in the region. Only 48.6% of seropositive cases were confirmed by PCR, which is lower than expected values. It seems that nosocomial transmission is the main route of infection in Iran. End-stage renal disease (ESRD), due to its high morbidity and mortality as well as social and financial implications, is a major public health problem. Outcome depends not only on different modalities of treatment like hemodialysis and peritoneal dialysis, but also on existing co-morbidities, age, duration on dialysis, supportive therapies and infection control strategies. Thus, a detailed study becomes necessary to improve health care delivery, provide medical care and to establish a geographical reference. The present study was undertaken to characterize the ESRD patients by their demographic and co-morbid conditions and relate this to the morbidity and mortality trends. The medical records of 110 ESRD patients seen over a five­year period (June 1995 to December 1999) in two tertiary-care hospitals in Riyadh, Saudi Arabia were studied retrospectively. There were 79 (64.5%) males and 31 (35.5%) females; their age ranged from 17 to 92 years (mean age 53.8 ± 17.8 years). 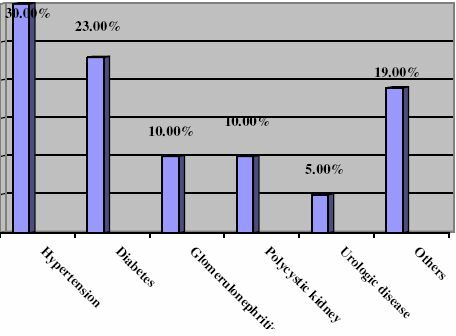 Diabetes was the commonest cause of ESRD seen in 26 (26.6%) followed by nephrosclerosis, unknown etiology, lupus nephritis, pyelonephritis and primary glomerulonephritis. Diabetes mellitus was the most prevalent co-morbidity seen during the study period and occurred in 65 patients (59%) followed by heart disease in 36 (32.7%), liver disease in 30 (27.3%), cerebrovascular accidents in 13 (11.8%) and neoplasm in 11 (10%). Seven (6.3%) patients only were smokers. Hemodialysis was the most frequent treatment choice as renal replacement therapy. Among the causes of hospitalization, cardiovascular conditions were the leading single cause (19.1%), followed by access related reasons and infections (11.5% each). The overall hospitalization rate was 11.2 days/year. The overall mortality rate was 8.07 deaths/year. The leading cause of death was cardiovascular in 15 (51.7%) followed by unknown/sudden death in eight (27.5%). Other causes of death included fluid overload, gastrointestinal hemorrhage, septicemia, liver disease and pulmonary embolism. Diabetes was the commonest co-morbid cause among the deceased. Old age, diabetes mellitus, prolonged duration on dialysis and cardiac diseases were the common causes of mortality. Our findings are consistent with worldwide reports. The study provides a reference data and will hopefully be helpful in improving the medical care. We attempted in this study, to estimate the prevalence of primary nocturnal enuresis (PNE) in children of Jordan, and to examine factors associated with PNE. We sent questionnaires to 950 parents of children aged 6-8 years, randomly selected from three primary schools in Jordan. The questionnaire was designed to evaluate the prevalence and factors associated with PNE. The response rate was 71.6%. 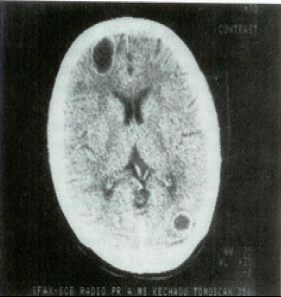 The overall prevalence of PNE was 23.8%. This prevalence declined with age from 48.9% at 6 years to 21.1% at 7 years and 8.4% at 8 years. Our findsings indicate that the prevalence of PNE in Jordan is higher than that reported from other Asian or European countries, while the associated factors are similar. We report here a case of severe lupus nephritis, Raynaud's phenomenon, digital gangrene and optic neuritis who, developed acute transverse myelitis (ATM). SLE can present virtually with any complication in the central nervous system (CNS) and ATM is a rare but serious manifestation. 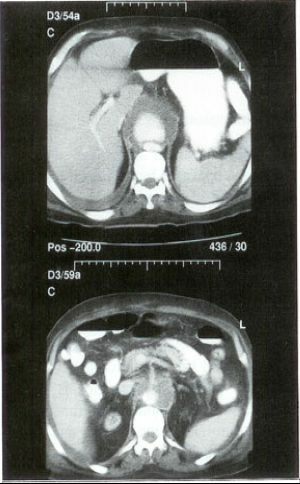 It is noteworthy that ATM developed in this patient while she was on intravenous cyclophosphamide (IVC) therapy having already finished six doses of monthly infusions of 10 mg/kg body weight. The patient responded well to methyl-prednisolone pulse therapy, IVC and plasmapheresis. She recovered fully and is doing well after nine months of follow-up. Non-typhoidal salmonella bacteremia may result in extra gastrointestinal localization of infection. Aortitis due to non-typhoidal salmonella was reported to be the cause of 38-42.5% of all infected abdominal aortitis. Underlying atherosclersis is a frequent site for salmonella aortitis. 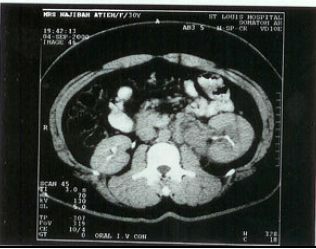 We describe here a case of possible salmonella aortitis in a renal transplant patient. Small cell carcinoma is a malignancy primarily recognized in the broncho­pulmonary region. Extrapulmonary locations are extremely uncommon. We report here a case of renal tumor encountered in a 34-year-old female, with extensive metastases in liver, lung and bone. Histological examination was most compatible with primitive neuro­ectodermal tumor (PNET) small cell carcinoma. There were negative immunohistochemcal markers for cytokeratin, any hormonal peptides and epithelial membrane antigens, which is consistent with the designation of the neoplasm as PNET. Previously reported cases have all been in the elderly and, to the best of our knowledge, this is the first case of proven PNET of the kidney described in a young female. To evaluate the patterns of glomerular disease in our center, we reviewed and categorized a series of 520 kidney biopsies performed for proteinuric patients between June 1994 and June 2001. There were 445 (85.5%) biopsies labeled as primary glomerular disease, 55 (10.5%) as secondary glomerular disease and 20 (4%) as miscellaneous. The primary glomerular disease included 117 (26.3%) cases of focal segmental glomerulo­sclerosis, 100 (22.5%) of mesangial proliferative glomerulonephritis (GN), 76 (17.1%) of minimal change disease, 72 (16.2%) of membranoproliferative GN, 65 (14.5%) of membranous GN, and 15 (3.4%) of rapidly progressive GN. The secondary glomerular diseases included 25 (45.5%) cases of lupus nephritis, 15 (27.3%) of amyloidosis, eight (14.5%) of diabetic nephropathy, six (10.9%) of hereditary nephritis, and one (1.8%) hypertensive nephropathy. Because immunofluorescence was not used, we could not label any biopsy as IgA nephropathy. In conclusion, our study suggests that the patterns of histopathology found in the biopsies of the patients with proteinuria may reflect the patterns in Iraq and may not be different from those in the other Arab countries, especially those in the Middle East. The use of Cyclosporin-A (CsA) has been well described and is currently recommended for use in patients with steroid dependent nephrotic syndrome (SDNS), especially when they start having steroid side effects. Over a three-year period, a total of 10 patients diagnosed as having SNDS at the King Hussein Medical Center, Amman, Jordan were retrospectively studied. Their mean age was 9.53 ± 4.9 years. All patients included in the study failed to maintain long-term remission following cyclophosphamide therapy and had all manifested at least one steroid side effect prior to the introduction of CsA. Kidney biopsy was performed on all patients and all had normal renal functions prior to the introduction of CsA. After inducing remission with conventional steroid therapy, CsA was given in a dose of 4-6 mg/Kg/day orally in two divided doses and adjusted to maintain a mean blood trough level between 100 and 150 ng/ml. Total duration of therapy ranged between six and 24 months with a mean of 17 ± 7.7. Steroid therapy was stopped in all patients within two months of starting CsA. Four patients relapsed after 4-6 months of stopping steroids. However, remission was re-induced when low dose alternate day prednisolone therapy was added. Two patients relapsed four months after stopping CsA, which was given for 24 months. Our study suggests that CsA is effective in maintaining long-term remission and decreasing steroid requirements in patients with SDNS.